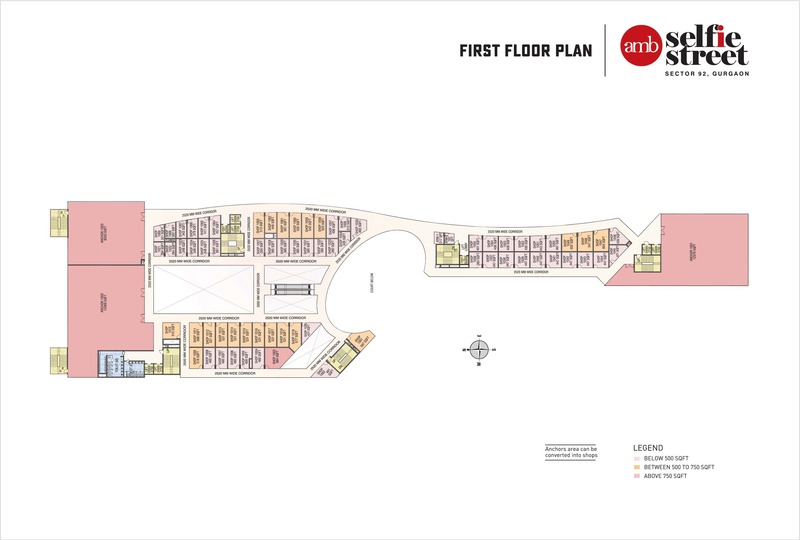 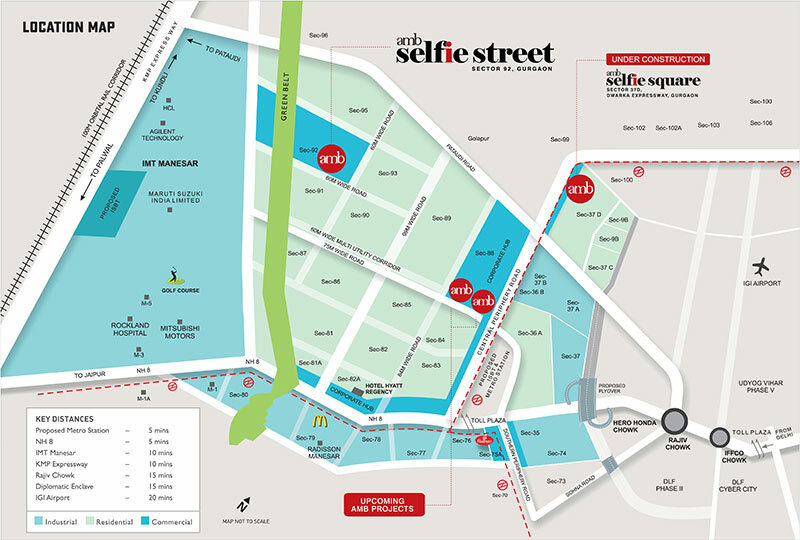 AMB Selfie Street - A modern commercial development in the heart of Gurgaon. 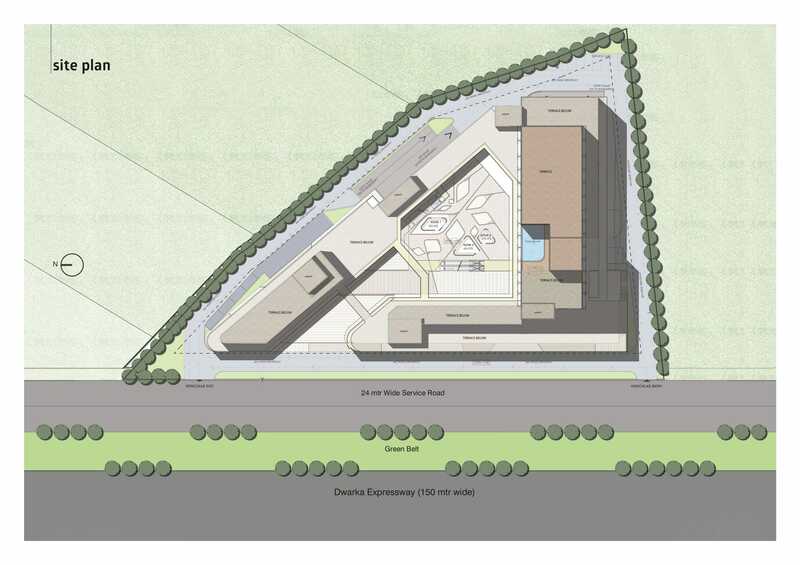 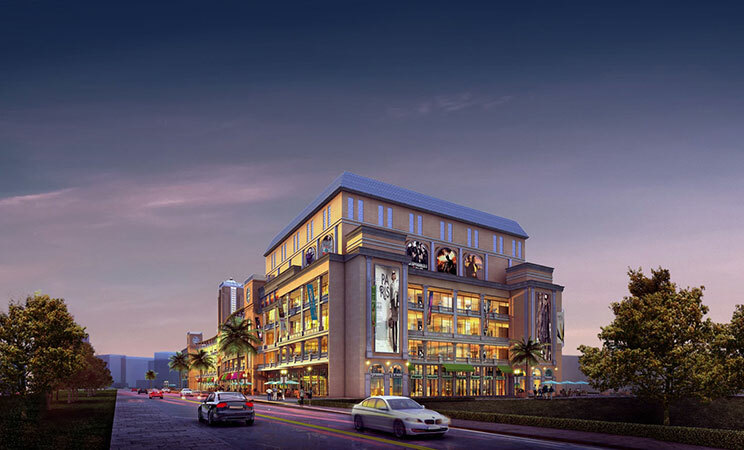 Located in DLF Garden City just 3 KM from Dwarka Expressway it offers a complete experience to shoppers. 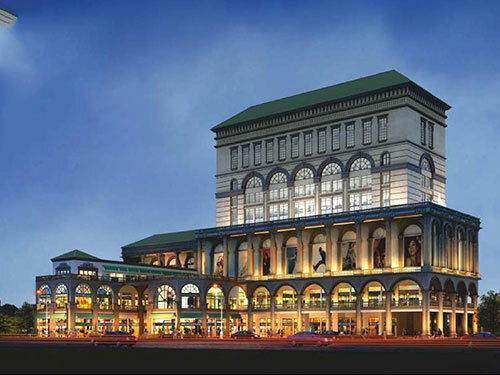 AMB Selfie Street enjoys wide frontage & excellent visibility. 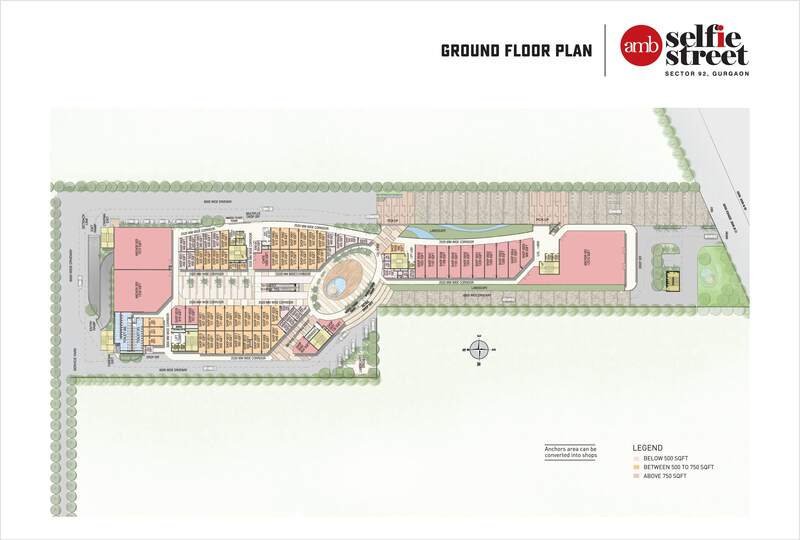 The Project is located amidst premium residential projects from leading developers like DLF Garden City, DLD New Town Heights, Bestech Sanskriti etc. 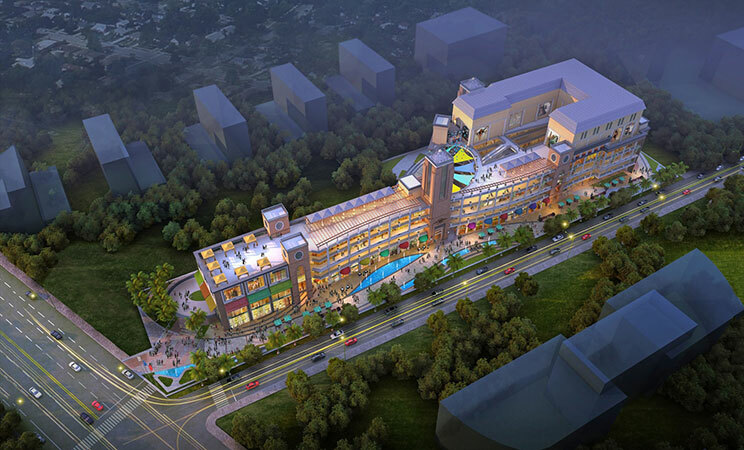 Selfie Street is a new commercial project in Sector 92, Gurgaon; inspired by Spanish architecture and designed to flourish as a neighborhood bazaar. 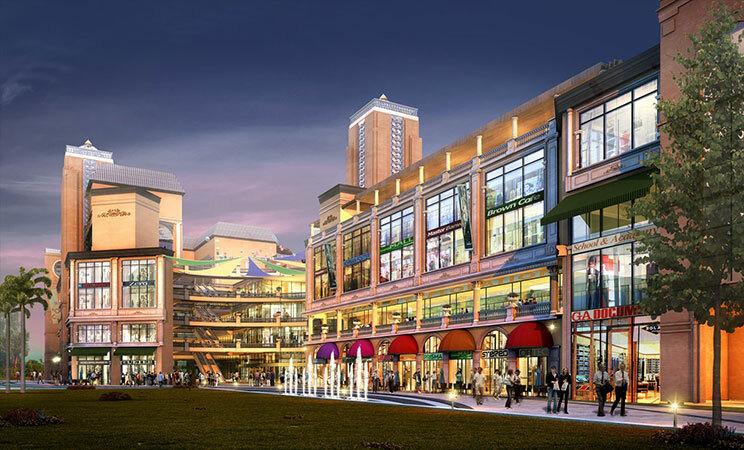 Inspired by Spanish architecture and designed to flourish as a neighborhood bazaar, it is a unique hub of entertainment, leisure & retail and a perfect destination for people looking for "shops for investment in Gurgaon". 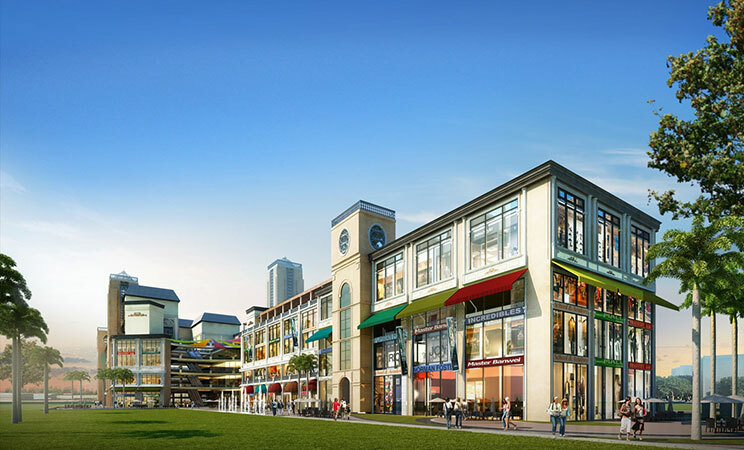 Selfie Street will be beautifully designed, following international construction standards making a prominent shopping destination of Gurgaon packed with all inspiration of modern and luxurious living and shopping. Located at 20 minutes straight drive from Indra Gandhi International Airport, 7 minutes from Dwarka Expressway and NH-8 and 10 minutes driving distance from Manesar and KMP Expressway, making it the best investment option in Gurgaon. The Theme Of Spainish Architecture Well Architectured Property with the Brown study Of Future.